Having a baby can change your world. Although you may have prepared for the new little bundle of joy by buying a crib, preparing the nursery, and stocking up on supplies, there are still many things that will be out of your control. Your well-meaning friends remind you to get sleep now because you won’t get much once your little one is in your arms. The clerk at the grocery store warns you about getting baby poop all over yourself at least once a week. What should you really know about bringing home a baby? Take advantage of the medical professionals that are around when you give birth. You can get valuable information about taking care of a newborn, which will make you feel more confident once you get home. Have a nurse or doctor show you how to bathe, diaper and change your baby. No matter what your friends told you, newborns sleep a lot. In the first few weeks, infants can sleep up to 20 hours a day. They may not sleep in long chunks of time, though. Be prepared to wake frequently throughout the night. During the day, your newborn may wake up to eat and fall back to sleep quickly. If your little one won’t stay awake for a feeding, try tickling their feet or placing a cool washcloth on their cheek. Some women refrain from having visitors for the first few weeks of their baby’s life. They prefer to stay in bed with the baby and sleep when the baby sleeps. This can help you recoup the energy that you lost during labor. Newborns must eat every two or three hours. In the first day of life, an infant’s stomach is the size of a marble. It won’t be able to eat more than a few milliliters at a time without spitting up. Once your baby is ten days old, its stomach is approximately the size of a golf ball and can only hold about two ounces at a time. If your baby is nursing, allow them to nurse as often as they want. This is called nursing on demand, and it helps your baby thrive. Don’t be surprised if they want to eat more frequently than every two hours. Their bodies use breastmilk so efficiently that it’s digested quickly. Formula can satisfy your baby for longer periods of time because it contains more fillers that can’t be digested easily. Still, your newborn shouldn’t go more than three hours without a feeding. If you have a sleepy baby, wake them up at least every three hours to nurse or bottle feed them. Is the closet in your nursery teeming with diaper boxes? Don’t open them until you need to. You may only go through one package of the smaller diaper sizes. Most stores will allow you to exchange unopened boxes for a larger size. Buying diapers in bulk can prevent you from making emergency runs to the store. However, diaper delivery services can prevent you from having to leave your house at all. Buying diapers online may be more convenient for new parents than getting them locally. What brand is best? That comes down to preference. What works for one parent may not work for another. Whatever brand you use, the diaper should fit properly. Red marks around the thighs and belly can indicate that a diaper is too small. If the diaper leaks frequently, try going up a size. Immediately after giving birth, your baby will be covered with vernix, which is a waxy substance that nourishes the baby’s skin. It also smells like amniotic fluid. The scent makes your little one feel more comfortable outside the womb. The vernix will become absorbed into the skin, and you won’t even notice that it’s there. You may wish to avoid washing your baby for at least 24 hours to make for a comfortable transition to the outside world. When you do bathe your baby, it’s recommended that you perform sponge baths until the umbilical cord stump falls off. Pay special attention to the folds in the arms, hands, diaper area and neck, which can collect milk and waste. Babies only need baths every few days or when they’ve had a particularly bad diaper deposit. Bathing your baby too much can dry out its skin. You can begin to submerge your baby in water once the umbilical cord stump is gone. Your baby doesn’t need a moisturizer. Their skin may appear dry, but that’s just because it’s growing so quickly that the dead skin cells collect on the surface. Allow your newborn’s skin to balance itself out instead of slathering it with lotion. Many new parents have questions about cord blood banking. This is a service that needs to be lined up before the baby is born. 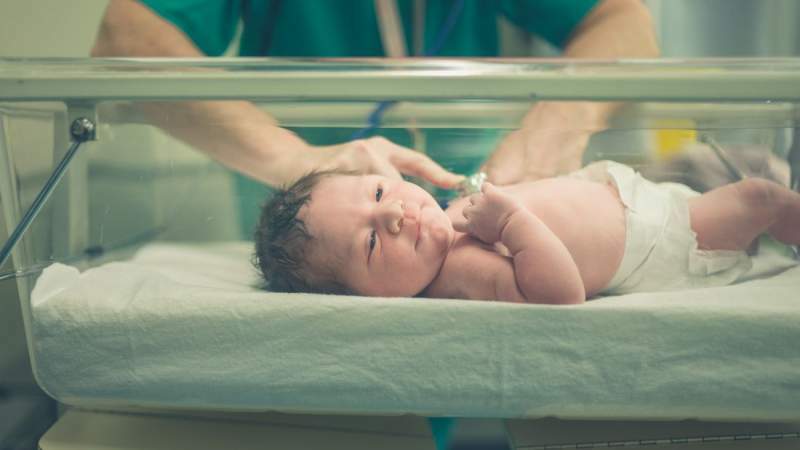 Immediately after the birth, the umbilical cord is clamped and cut, and the blood is extracted from the end that’s connected to the placenta. That blood contains stem cells, which are the building block of every cell in the body. These are different than embryonic stem cells. They can be used to treat a variety of serious medical conditions, like leukemia and sickle cell anemia. Cord blood can be banked privately or donated to a public bank. If you bank it privately for your own use, there is no guarantee that it will benefit your baby. If your infant develops a dangerous medical disorder, their own stem cells may carry the defect that caused the disease. However, researchers are continually studying new ways to use cord blood. It’s easy to pay so much attention to a new baby that you neglect to take care of yourself. If you’re breastfeeding, you should consume approximately 500 extra calories a day. You should also make sure that you drink plenty of water. Setting up a snack station with water and food that’s convenient to grab quickly while you’re caring for the baby can help you get the nutrition that you need. Many doctors recommend that new mothers continue to take their prenatal vitamins after having the baby. Hormonal fluctuations can lead to constipation. If you’re a new mom, ensure that you’re eating enough fiber. When friends and family members ask how they can help you, consider requesting that they provide you with healthy meals or a snack basket. Food may be the last thing on your mind, but you need fuel and energy to take care of your baby. Being a new parent can be daunting. Surround yourself with people who understand what it’s like, and seek support when you need it. Other parents have gone through this new stage in life, and they may understand how to help you the best. Don’t hesitate to call your pediatrician if you have question about your new infant’s care.